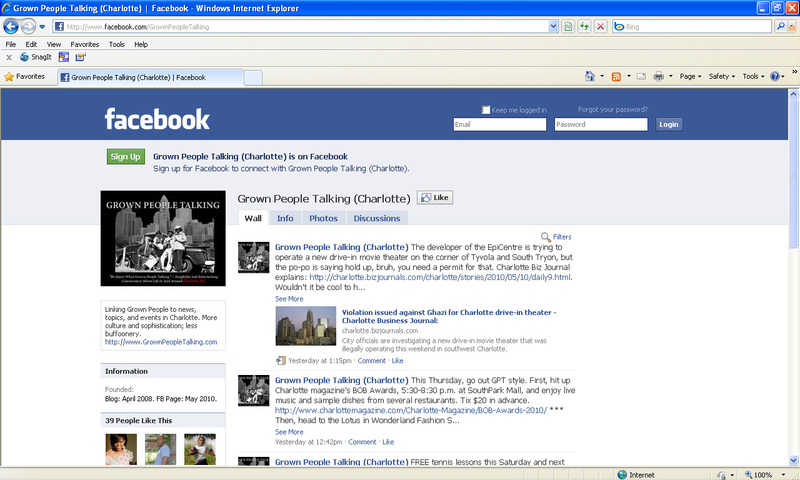 Yesterday, I created a Facebook page for Grown People Talking: facebook.com/GrownPeopleTalking. My plan is to use it to connect with people more/better, since many of us spend an unbelievable amount of time on Facebook (even though Betty White joked that it's a complete waste of time). 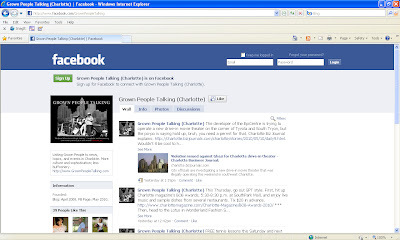 The FB page will allow me to post info more frequently, particularly links to other sites and events, and make better use of some of the beneficial info I receive often in press releases. And in keeping with the Grown People theme, I hope it will be a place where you'll find that the content is befitting of your maturity and intelligence. For example, when it comes to events, I'll post stuff about networking opportunities, art exhibit openings, fundraisers, fashion shows, dining events, and primarily places to meet young professionals. Will you "like" me?